Hello Good People, I'm over here defrosting from some freeway mayhem. Today Bob Magnusson and I drove up to Santa Ana to meet up with the other stringsters for some fine-tuning before our show coming up at the LA County Museum later this week. The band is cool and we’re excited to get tangled once again inside some challenging charts. We hope to see you if you can make it and please spread the word if you know someone in LA that might dig what we’re up to. The band after a long day of recording. 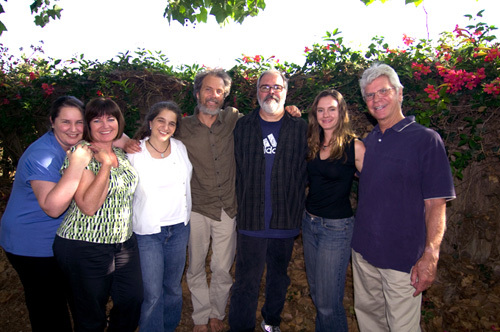 From left to right, Bridget, Jeanne, Pam, Peter, Duncan, Carter and Bob. I’m heading to the Roxy tomorrow eve for another chance to let a little samadhi creep into the hurricane which is my life. I’ll see you there for some solo guitar explorations. 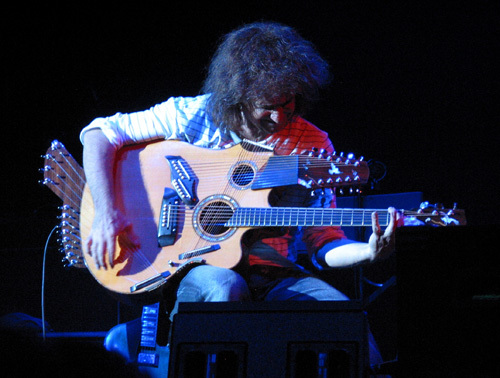 Pat Metheny and his Picasso guitar. Bob Magnusson  bass 6 PM Heading north for some great music at LACMA. Leonard Patton  vocals 7:30 PM We played this music a month back and it was such a fun evening we're doing it again. Our own angle on one of my hero's music! 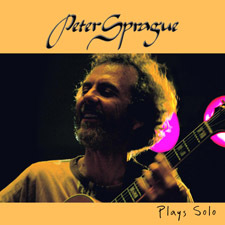 8 PM Gunnar has a new CD and we're playing this music. Sweet! 6 PM Playing a show in downtown Escondido. 6:30 PM Bringing the revolution to Pt. Loma! 7:30 PM Teaming up with fantastic Keezer for a night of our music! 8 PM Carter plays cello with my String Consort group and she's just released a solo cello CD. Fantastic! I'm playing the concert with her and she's one of the best! 6 PM Playing some trio music in a magical spot!